A field of Key Royale Club men, all 75 years of age and over, took on a golf challenge to crown the club senior match-play champion. 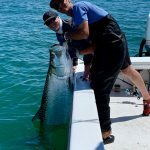 The tourney began four weeks ago with single elimination matches, concluding April 5 with Greg Shorten taking on Wayne Patterson for the club title. The two battled it out from the first to the 18th hole, where Shorten finally ended the match with a birdie to win the title 1-up, earning the title 2019 men’s senior match-play champ. In regular golf action at the club, the men played their weekly modified-Stableford system match April 8. Tom Solosky and Blake Ress finished in a tie for first place with matching scores of plus-5 — five points above their average. The team of Ron Babcock, Jerry Dahl, Jon Holcomb and Greg Shorten combined on a score of plus-7 to win the team competition. The men were back on the course April 11 for a nine-hole schamble. The team of Shorten, Dean Christensen, Blake Ress and Terry Tarras combined to fire a 5-under-par 27 to lap the field. The team of Tim Donnar, Mike Gillie, Barry Izzard and Tom McDonnell matched the 2-under-par 30 carded by Marty Hicks, Sam Major and Mike Strum to tie for second place. 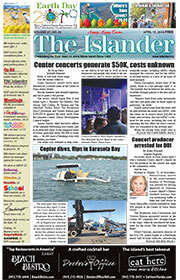 Lots of folks know Charlie Koengeter, a cashier at the Publix Super Market in Holmes Beach. He’s been assisting customers there for 17 years. 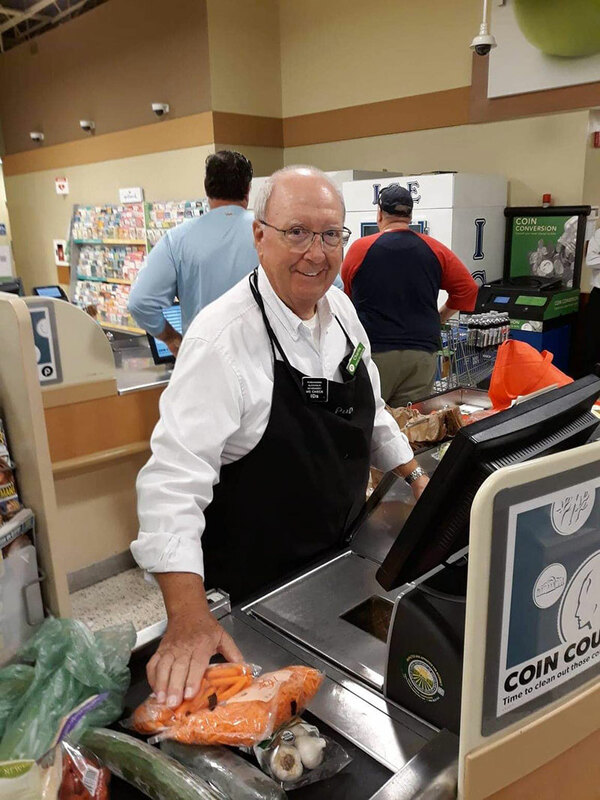 But some people might not know the friendly cashier is a championship golfer on the senior circuit, raking in wins in single and pairs competitions. 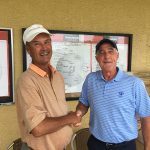 “I have my moments,” Koengeter told The Islander when asked about his recent accomplishment at the Best Ball tournament at the Carrollwood Country Club in Tampa. It’s a two-player undertaking, Koengeter explained of the competition. He and partner Kurt Wicklund finished 16-under par — 56 on a par-72 course — and shot the all-time record, breaking a mark that had stood since 1913. “We played 18 holes, finished 16-under par and never missed a putt,” Koengeter said. He has been playing golf for more than 50 years and participates in two to three tournaments a month across the state. He plays in the senior division — 65 and older — along with “about 30-40 guys,” he said. The tournaments are sanctioned by the Florida State Golf Association. When Koengeter began playing in the tournaments, he was not sure he could handle the pressures. In his first 20 tournaments, he had three second-place wins and three third-place wins, but a championship remained elusive. 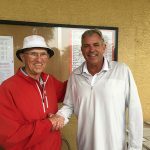 Then, on a windy day in September 2018 at Waterlefe Golf and River Club in Bradenton, Koengeter shot a 67 with his handicap and won the competition by one shot. A month later, at the Ritz-Carlton tournament at Lakewood Ranch — again on a windy day — he shot a 68 and won again. In March, on the Champions Course at the local Palm Air Country Club, the cashier shot a 65 and won by two shots. “Not bad for an old fart,” Koengeter said. He often jokes with his customers about the winnings. And, as for his days at Publix, “I love all the people I see. They come from all over. I meet new ones and enjoy seeing the old ones,” he said. But come the end of April though, he might be missing from his usual post for a few days. He’s got another golf tournament lined up, and he’s itching for another win. “Next” not only means the next person in line for service at Publix, it’s also the next win on the golf links. 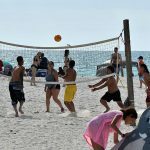 Two teams emerged from pool play and battled for the day’s supremacy during April 10 horseshoe action at the Anna Maria City Hall horseshoe pits. The team of Bob Palmer and Tim Sofran rolled to the winner’s circle after defeating Dom Livedoti and Bob Lee by a 25-4 score behind nine ringers from Palmer. Two teams also battled for the championship during the April 13 games. 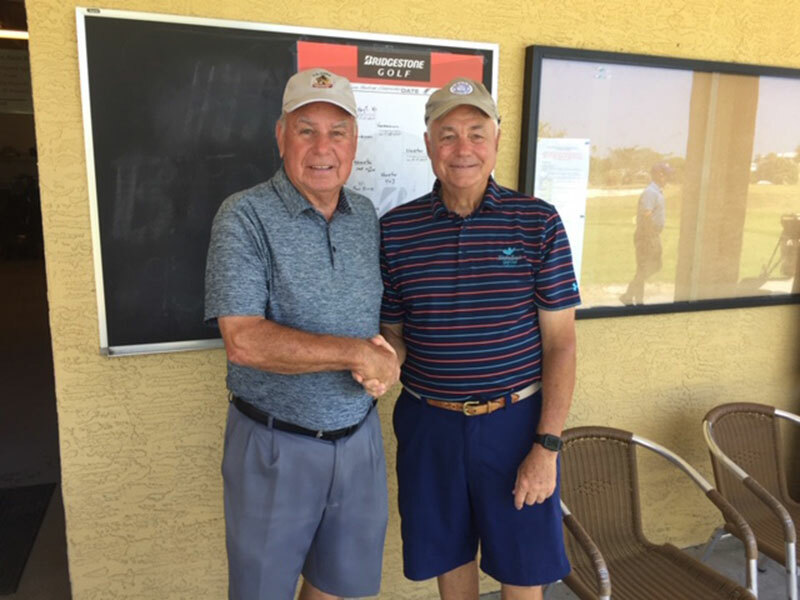 The team of John Crawford and Bob Demont jumped out to an early lead and held on for a 21-6 victory over Lee and Bob Heiger to earn bragging rights for the day. Young soccer enthusiasts who may be hoping to take their game to the next level are encouraged to tryout for the Manatee Magic competitive soccer team. Tryouts will be held in age groups at G.T. Bray Park, 5502 33rd Ave. Drive W. There is no charge to tryout. The player fee for the season, if selected, is $xxxx.